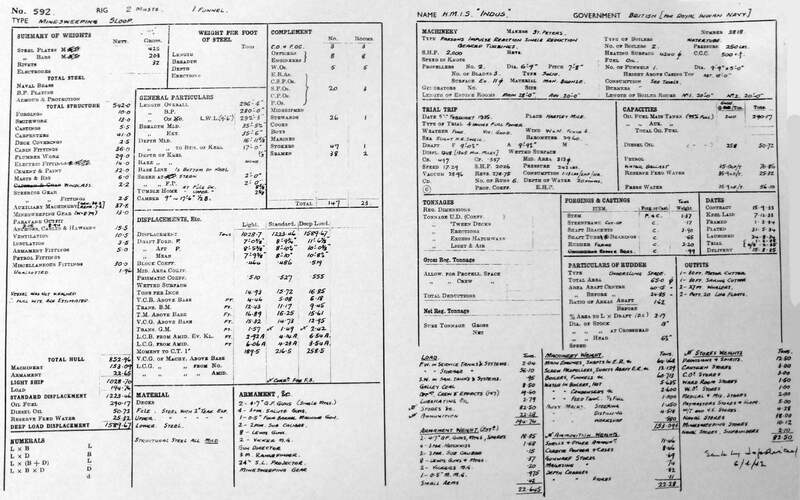 03/1942: British Indian Army and British Army troops from Rangoon had to be withdrawn, as they were overwhelmed by the superior numbers as well as the air command of the Japanese. Akyab was the next port to be attacked by the Japanese in April. The Flag-Officer-Commanding of the Eastern Fleet refused to withdraw INDUS and SUTLEJ from the anti-infiltration patrol off Akyab. 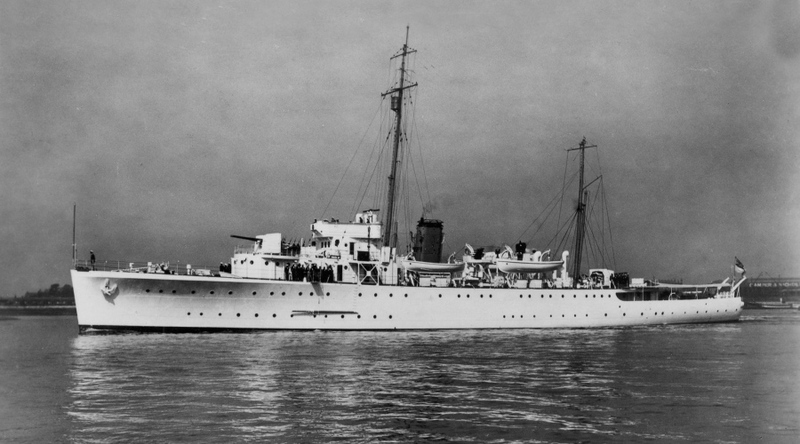 06/04/1942: INDUS suffered 3 direct bomb hits in a Japanese air raid, and sank in 35 minutes. Fortunately, there was no loss of life to her crew. 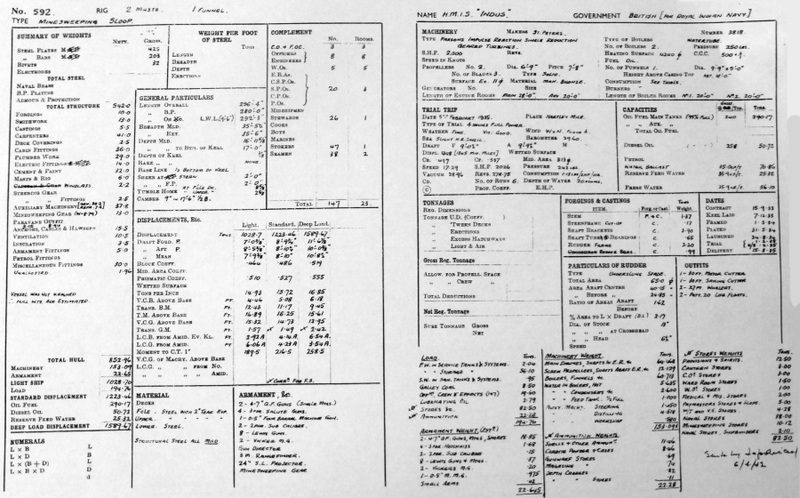 Copied and digitised by Terry Summerson from the original Shipyard Data Books. Click HERE to enlarge. This record is now held by Tyne and Wear Archive Services.